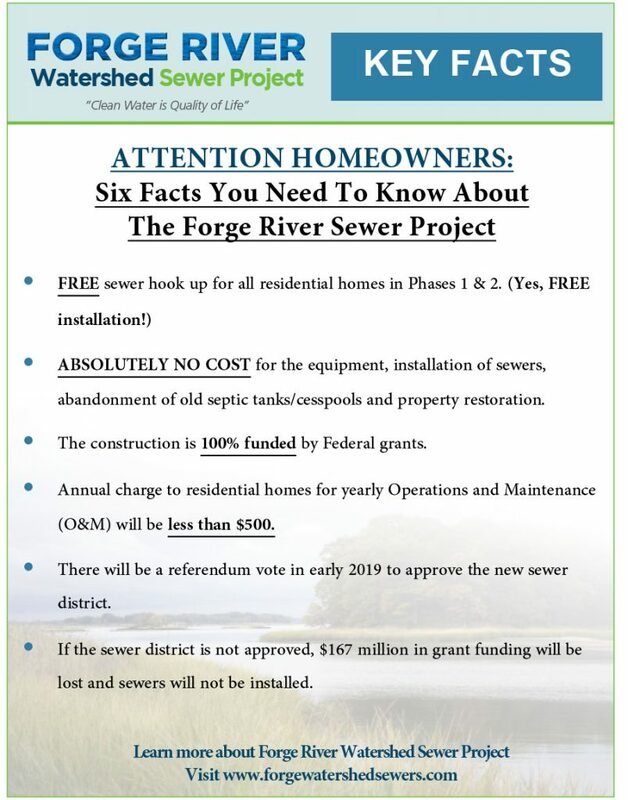 Members of the community are invited to attend a public information session on the Forge River Watershed Sewer Project. 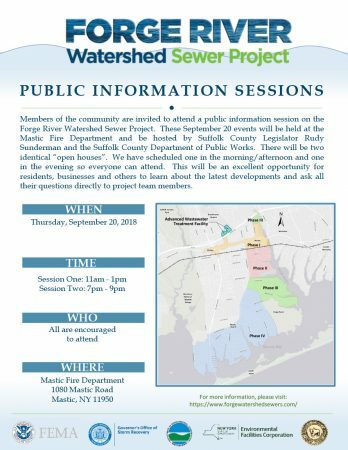 These September 20 events will be held at the Mastic Fire Department and be hosted by Suffolk County Legislator Rudy Sunderman and the Suffolk County Department of Public Works. 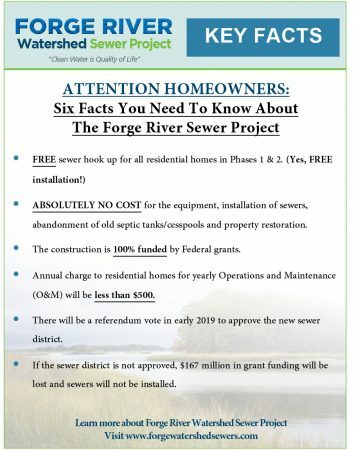 There will be two identical “open houses”. We have scheduled one in the morning/afternoon and one in the evening so everyone can attend. 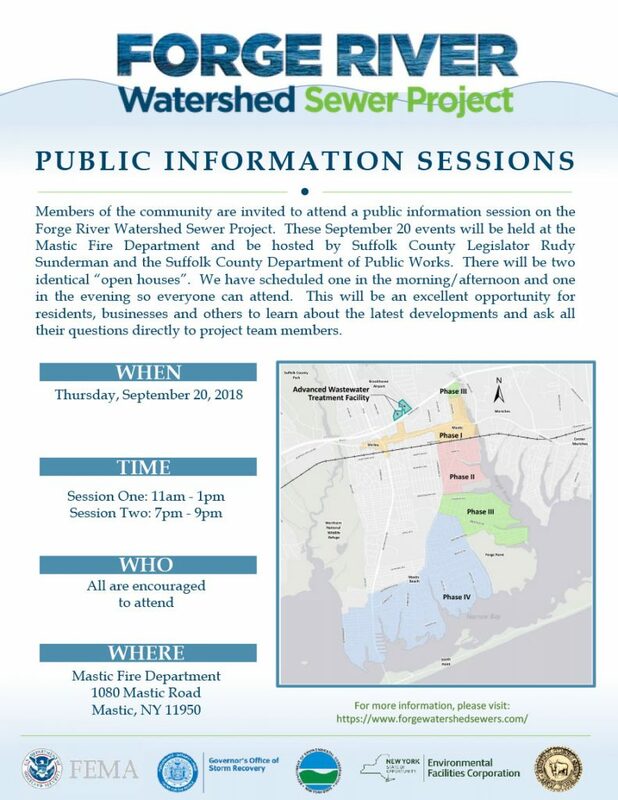 This will be an excellent opportunity for residents, businesses and others to learn about the latest developments and ask all their questions directly to project team members.